If you are used to gaming on your PC with your standard gaming keyboard and gaming mouse, you may be looking for a way to switch up your gameplay to further challenge yourself. Whether you are looking for a challenge or more ease of use, connecting your PS4 controller to your gaming PC can change up your gameplay and make it more enjoyable for you. Whatever the reason you want to use your controller we are here to help you connect these devices that have been at odds in the past with ease. 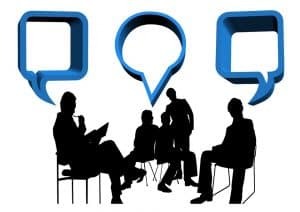 If you are using a Windows operating system on your gaming PC, then you have a few more options when it comes to connecting your controller to the PC. Each option you have will have its perks from short setup times to increased reliability but all of them will give you the connection you were looking for. If you are using a Mac for gaming your connectivity options are more limited but it is still possible. The main PS4 controller is the DualShock 4 that has a mostly identical design to its predecessors but it includes a few new features and a refined appearance. DualShock controllers have vibrational feedback that Sony designed specifically for PlayStation gaming consoles. The DualShock controller dropped in North America exactly two decades ago as an add-on rather than a primary controller. This add-on quickly gained primary status when Sony stopped manufacturing the Dual Analog Controller that was originally included with the PlayStation console. This controller does not lack inputs and outputs making it functional for an array of gaming options. A stereo headset jack, a mono speaker, a micro-USB and an extension port are all present on this controller. This controller is powered by a 3.7 V 100mAh lithium-ion battery which is recharged while the gaming system is at rest. You can charge the controller with the micro-USB port, a charging station, or your gaming console. The right charging accessories will make using your PS4 controller with your PC even easier and more convenient. Gather your DualShock 4 controller and Micro USB cable that came with your controller and insert the end of the USB into your controller. Insert the other side of your Micro USB cable into your computer and give the system a few seconds. As soon as your controller is recognized by the PC you will see the light bar on your controller glow yellow. Double check that your controller is connected by clicking the Search Bar and typing in “Control Panel,” to open your Windows control panel. Open the Hardware and Sound category within the control panel and click on the View Devices and Printers. In the top corner of Devices and Printers a Game Controller icon will appear and right-click the icon to open the drop-down menu. Scroll down to the “Game Controller Settings,” then click on the “Properties,” option. This allows you to View the calibration of joysticks, the trigger squeeze, and how your computer is detecting the controller inputs. Using the micro-USB cable to connect your PS4 controller will take no more than five minutes (as long as you remember where you place your cables). If you are using your DualShock 4 controller to play your games on one of our favorite gaming monitors then you are sure to enjoy the gaming experience it provides you with. Download the most up to date version of DS4 Windows to from the official website. Extract the file you just downloaded using your preferred archive manager like 7Zip or another similar program. You will have two files in the folder, DS4 Windows and DS4 update, double-click DS4 Windows to initiate installation. Within the dialogue box install the DS4 driver, you may need to restart your device or wait 15-minutes before you notice the driver. If you are using Windows 7 install the 360 driver, if you are using a later version you can skip this part. This last part is easy, attach the DualShock 4 to your computer with the micro USB cord that came with your controller. 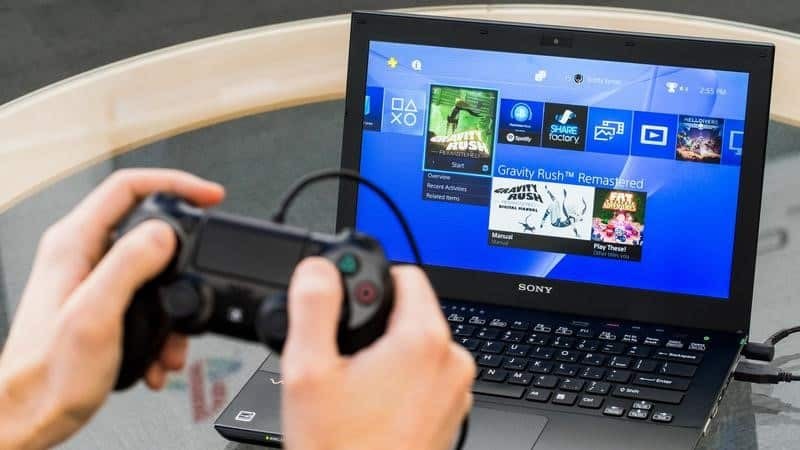 While it did include a few extra steps and a few installations using this method to connect the PC and the PS4 controller together guarantees less issues with loss of signal, poor calibration, and unrecognized equipment. It is much more likely to run into issues needing troubleshooting when you just plug the controller into the computer. Even if you are using your PS4 controller to play on one of our favorite gaming laptops, this twenty-minute installation process is well worth the added steps to ensure less time figuring out why your controller isn’t working. To enable the wireless function, hold down the PlayStation Button on your DualShock 4 for five seconds or until the light bar along the front of your controller start flashing. In the bottom right corner of your PC open the Start Menu by clicking the Windows icon scroll down the alphabetical menu until you get to “S,” and click to open Settings. Click on Devices category to open the Bluetooth and other devices settings and use switch to change Bluetooth to On. Connect the computer’s Bluetooth to the Wireless Controller and ensure the connection has been made. When asked for the pair code enter 0000 and hit okay. When the connection is made click Finish on your DS4 Windows installer and exit. Using your DualShock 4 controller with your PC is an amazing way to game and it can be made even better by using your controller in wireless mode. Once again having the DS4 Windows software installed will make the connection to your PC far more reliable than a simple plug and play experience. The DS4 Windows software will allow your DualShock 4 to emulate an Xbox controller but it will inactivate the touchpad which is unfortunately one of our favorite features. 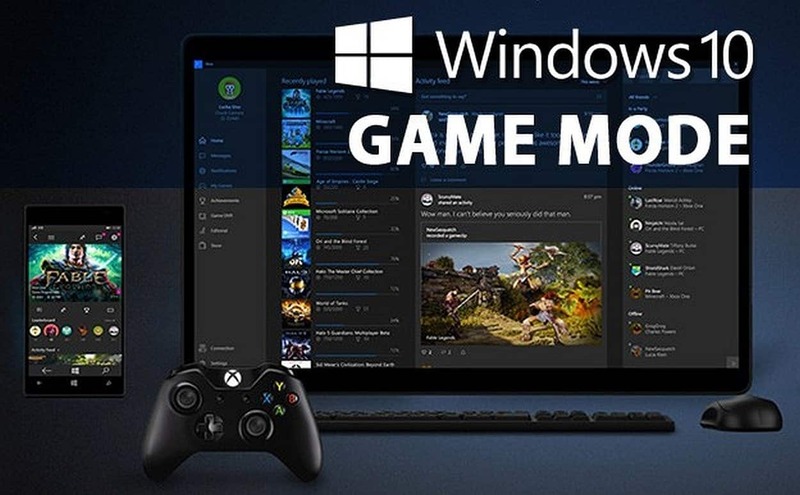 Before or after you establish your wireless connection, we recommend activating game mode on Windows 10 to enhance your overall gaming experience. If your system is older Game Mode will restore your frame rates to the most desirable level. If you are wanting to connect the DualShock 4 controller to your PC but you don’t want the inconvenience of installing external programs, drivers, or plugging the micro-USB in to your controller and monitor Sony has a way around that. The best part about the Sony Wireless Adaptor if its usability and affordability. This wireless remote adaptor will support all of the features that DualShock 4 has to offer like vibrating feedback, stereo headset jack, and the famed touchpad. All you have to do to use this handy piece of gaming equipment is plug it into an open USB port on your computer and enjoy! 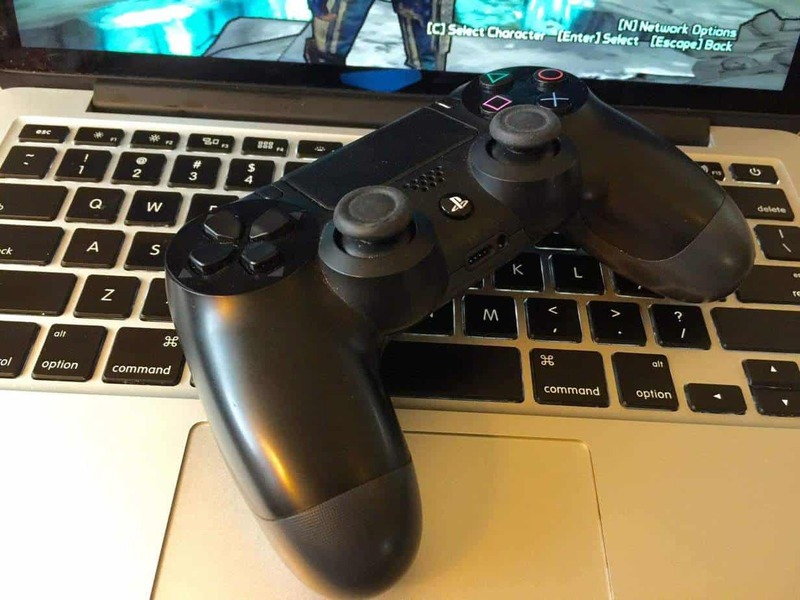 It really is that simple, but we do want to remind you that this is not the most reliable way to connect the PS4 controller to your gaming PC. Without a doubt if you are in the minority that uses Mac for your gaming rig you will prefer purchasing the Sony Wireless Adaptor. Connecting with the adaptor guarantees a stable connection that allows you access to all the DualShock 4 features you love. 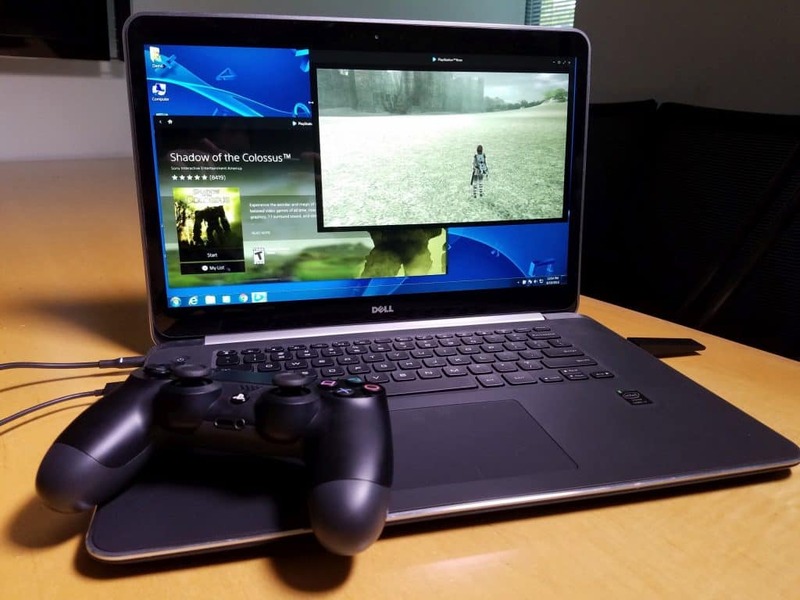 Whatever operating system you use when gaming you can rest assured that there is a way to connect your PS4 controller to your gaming PC. Hopefully you now know the diverse ways you can connect your gaming PC and your DualShock 4 controller to game for hours. Whether you are running on a Windows or a Mac operating system you can hook up your PS4 controller to the compatible games on your PC. While Mac users do have less options than Windows users you should not be deterred from using the controller of your choice. If you are willing to spend a little extra cash to ensure consistent connectivity with all the DualShock 4 features, you love investing in the external dongle for a wireless hookup is well worth it. Whichever method you choose to connect your PS4 controller and your gaming monitor together we hope you try it with our explicit directions by your side.